Our unique event jovially highlights how the cars we grew up with are simply vanishing. Leave the Bentleys, Ferraris and Porsches behind. Bring on the Marinas, Montegos and Chevettes. Join us in celebrating and enjoying these threatened and endangered pieces of our beige, brown and plaid automotive heritage of late-1960s to late-1980s Britain. Don't forget to bring your Unexceptional picnic – the best spread of Battenberg cake, cheese and pineapples will also receive an award! Entries to the Concours De L’Ordinaire will open in January whilst the limited number of entry tickets for the event will become available in the Spring time. 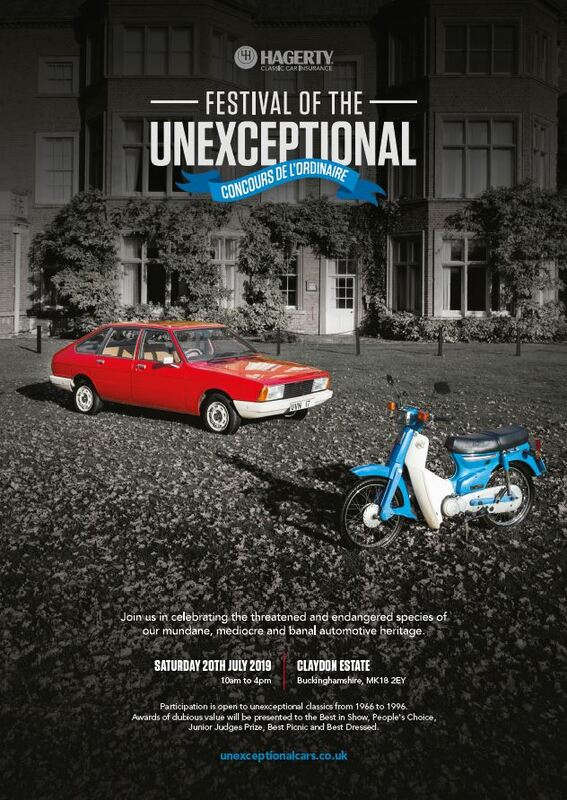 ***New location*** Hagerty is delighted to confirm the return of our popular annual Festival of the Unexceptional, and for 2019 the Festival of the Unexceptional will have a new home, we are moving to the Claydon Estate, just south of Buckingham.